Are you a slot machine newbie? If you are going to be enjoying the hundreds of slot games available to you to play at online casinos, you will need to familiarize yourself with basic slot terminology. It will be easier for you to select slot games which will appeal to you. You will be less confused when it comes to making decisions which affect your stake sizes. You will have a better understanding of how slot games work and what your chances are of a payout. 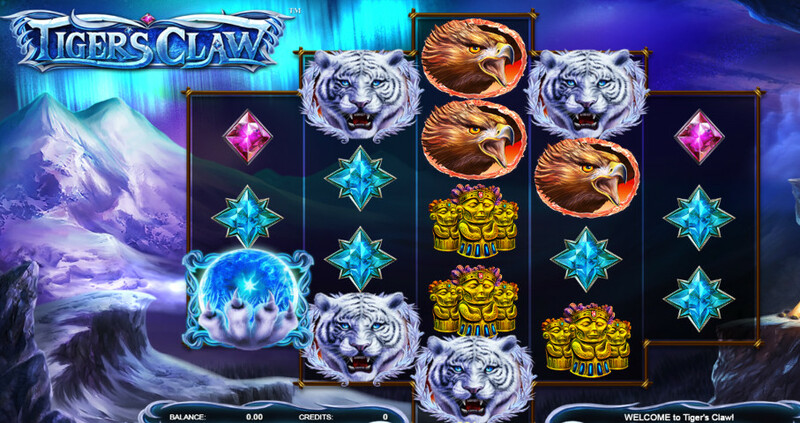 A screenshot of the “Tigers Claw” slot machine, available at BetOnline with it’s freakin’ amazing 720 ways to win! Below, you can find definitions of common slot terms. This is not an extensive list of all slot lingo, but I have tried to focus on those terms which are relevant to playing online (as opposed to in a land-based casino). Action: The cumulative time you have spent playing a particular game is your “action” on that game. The amount of “action” you have on a certain game (or a number of games collectively) may be important in determining VIP benefits you have earned (i.e. points toward rewards). Annuity: This is one of the options for how you receive a payout on a massive jackpot. It means that you accept the payout in increments over a period of time as opposed to all at once as a lump sum. Basic slot: Another word for “straight slots.” With this type of slot, there is just one payline, and jackpots are fixed amounts. Bet max: While looking at a slot interface online, you might notice a button you can click with the name “bet max.” If you push this button, you will wager the maximum possible credits on your spin. The main reasons to do this are to 1-save time calculating, and 2-make sure you are eligible for the largest payouts. Bet one: Sometimes slots also include a button with the name “bet one.” If you use this button, you will wager a single credit on your spin. Aahhh, the ever elusive jackpot. Someone’s going to win it! Big hit: This is a phrase which simply refers to winning the jackpot. Bonus: This may refer to a wide array of features. Special symbols like wild symbols may be considered to be bonuses, as may free spins and bonus rounds. 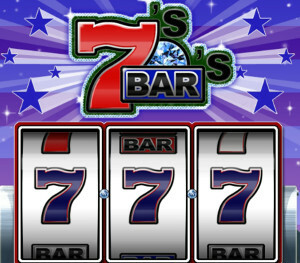 Branded slot: This is a slot with a theme which is tied to a branded property. As an example, a slot game which has a Dark Knight theme is a branded slot. Cashback: If you are participating in a VIP program, you may be able to get cashback as a reward. As you play, you earn points, and those points can be redeemed for cashback. Certified slot: This is any slot game which has a return rate of 98-100%. Coin in: This is how many credits (or “units”) you have played. Coin out: This is how many credits you have won. Coin: This not a literal term anymore. It refers to how large your base wager is. Coin size: This is the actual value of the coin. It may also be referred to as “coin denomination.” Coin sizes can range considerably. 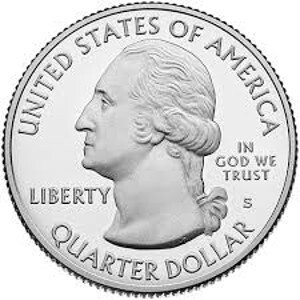 Sometimes a coin may be worth just 5 cents, while other times it could be worth 5 dollars. On some slot games, coin size is fixed. On others, you get to select the coin size you want. Coin size is relevant to calculating credits available (see below). Sometimes, a slot game will be referred to by its coin size. For example, you might have a “nickel slot machine.” This means that the coin size is equal to 5 cents. Coin denomination: As just mentioned, this is simply another way to refer to coin size. Credit: When you deposit funds into a slot game, the game converts them into credits, also called “units,” before you play. How many credits you have depends on two factors: the amount of money you put in, and the coin denomination. Specifically, you divide the amount of money you input by the coin denomination to determine the amount of credits available. Credit meter: This shows how many credits you currently have to play with. “Cold” slot: When a slot seems to be in a dry spell and isn’t rewarding a lot of payouts, some players may refer to it as being “cold.” This is a cognitive misperception; in truth, the results of the slot game are always random. There is no “trend” of any kind, so the notion that the machine is “cold” is meaningless. Collect: Ready to take those credits in the game and turn them back into cash? Hit the “collect” button. Comps: These are rewards which you can earn through participation in a VIP program. A comp can take any number of forms. It might be cashback, or it could be some other kind of freebie. Double: If you get a “double” on a slot game, that means that a certain symbol has appeared twice and doubled your winnings. There are also “triples” which work the same basic way. Fixed value slot: This is what you call a slot game where you cannot pick your coin size or how many lines or coins per line you are wagering. The appeal of such a game is that it reduces the number of decisions the player has to make. Five liner: This is a slot with five paylines. Free spin: Also known as a “respin,” a free spin is simply a spin with no cost. It is a type of bonus. Once it is triggered, it will take place immediately and automatically. Sometimes, free spins can trigger additional free spins. This may happen up to a certain limit (i.e. a maximum of three free spins) before the bonus round ends, or there may be no restriction. 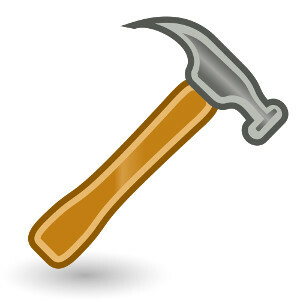 Hammer – The term used when you stay on for a long amount of time. Hammer: If you are “hammering” a slot game, that means that you are putting in a lot of long, uninterrupted time on it. This might happen either when you lose track of time (common while playing slots) or when you are really intent on getting a big hit. Hit and run: This is the opposite of hammering a slot. Someone who is taking a “hit and run” approach may move on from one game to another within a short span of time. Every time he or she plays a game which doesn’t deliver a significant reward within a short time, the assumption is that the game is “cold.” Thus, the hit-and-run gambler figures it is time to move on and find one which is “hot.” This is of course based on fallacious logic. Hit frequency: This tells you how many spins it takes on average for a slot to pay out. A slot with a hit frequency of 5 for example should on average pay out on every 5th spin. Hold percentage: This is the amount which is subtracted from a return rate. Say for instance that there is a slot game which over time returns 97% of player money back to gamblers. The 3% which goes to the casino is the “hold percentage.” It is from this percentage that casinos profit. “Hot” slot: This is the opposite of a cold” slot. A slot which is “cold” is having a dry spell. A slot which is “hot” is either paying out at a higher rate than usual, or about to. Of course, there are two caveats to be aware of. The first is that the overall return rate is unchanged—a higher rate of return within a specific, small timeframe is merely a statistical anomaly. Secondly, the situation is random. The slot is not actually more likely to pay out when it is “hot.” The odds of a payout are the same as they are when it is “cold.” The only difference is in the gambler’s mind. Instant winner: This actually refers not to the way in which someone wins a jackpot, but rather to the way in which they receive their winnings. If they are an “instant winner,” that means that the payment comes as a lump sum rather than in installments. Jackpot: This isn’t just any payout; it is the highest possible payout from a given slot game. Line bet: If you have a bet on a particular payline, that is a “line bet.” Which lines you can bet on typically depends on the amount you are staking. The more you are willing to wager, the more paylines you can activate. Linked slot machines: Slot games which are linked together online or offline are all part of the same progressive jackpot. That means that the money which gamblers put in at each of the linked machine goes toward the same huge jackpot. “Loose” slot: A slot which pays out frequently may be referred to as “loose.” Contrast this with a “tight” slot which pays out rarely. Multi-line slot: The vast majority of slot games in today’s world fit into this category. They have multiple paylines. You may contrast a multi-line slot with a single line slot. Also, if you happen to use bitcoin, Cloudbet has by far the biggest bonus you’re going to find anywhere with a possible 5BTC match! Multiplier: When a multiplier symbol comes up, it multiplies your winning by a certain amount. These symbols frequently show up in conjunction with other special symbols (i.e. wild symbols). Near Miss: Yat know how sometimes you almost get a winning combination, but just one symbol fails to fall into place? That is referred to as a “near miss.” The perception of a “near miss” is a big psychological motivator to keep gamblers pulling levers. When you experience a near miss, your thought is generally, “Not this time, but maybe next time. I am so close.” While this is irrational, in the moment, the illusion can be very persuasive. Nickel slot: This is simply a name referring to any slot game where the denomination is equal to 5 cents. Nudge slot: A slot machine feature which is related to the “near miss” concept is the “nudge slot.” If you have ever played a nudge slot, you may for a moment think you have had a “near miss.” All of the symbols but one will line up, and that one is just out of alignment with the rest—and then it gets nudged into place, and voila, you’ve won. Technically, this is a sort of illusion. In reality, the random number generator determined immediately that you had won, and that all the symbols lined up—but the slot dramatically presents the situation to make you think that you initially didn’t. This builds anticipation and excitement, and makes you even more convinced that any “near miss” could become a win. One-armed bandit: This is simply a way of referring to a slot machine. The “arm” is the lever on the side. One liner: This term refers to a single-line slot game. The majority of slots today are no longer one liners. Payback percentage: This is a slot machine’s long-term theoretical return rate, i.e. 97%, 98%, or so on. It is important to understand that “long term” here means many, many, many pulls over years. You cannot personally expect to get 97% of your money back. In fact, it will be quite unevenly distributed. Those who win the jackpots will take the largest shares by far, and most players will ultimately end up losing to the house. Payline: On a slot machine, you need symbols to match across an activated payline in order to win. This line may be horizontal, vertical, diagonal, etc. While some slots have just one payline, the majority have more. If you get a winning combination on a payline which is not activated, you do not get a payout. Pay table: Before you play a slot game, you should check out the pay table. This lists the winning combinations possible as well as the payouts for each. Penny slot: This type of slot game has a 1-cent denomination. Primary payout: If you win the highest payout possible on a slot game, you have won the primary payout. Progressive slot: You can contrast this type of slot machine with one with a fixed payout. 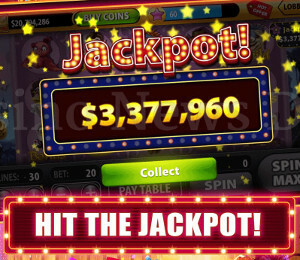 As players continue to put money into the game without winning the jackpot, the amount of the jackpot increases progressively. The longer the game goes without a winner, the larger it becomes. We may not be putting quarters in them anymore but it’s still a popular size bet. Quarter slot: You can compare this with a nickel slot or a penny slot. As you might have guessed, the denomination is 25 cents. Reel: On old-fashioned physical slot machines in brick-and-mortar settings, the reels on the machines are literal wheels with symbols on them. When you pull the lever, they spin. On digital slot games, the “reels” are merely virtual representations of the action of a random number generator (RNG). They are of course patterned after physical reels, and look the same on your screen. Random number generator (RNG): The outcomes of slot games are determined by a random number generator, often called “RNG” for short. An RNG is a type of computer program which generates random outputs. Scatter symbol: Not all slot games feature scatter symbols. Those which do allow you to receive a bonus or payout if the scatter symbols appear, regardless of their location. In other words, even if the scatter symbol isn’t on a payline, if it is visible when the reels stop, you win something. Often, you win free spins, but the exact reward varies from game to game. Rules regarding scatter symbols may also vary, so it is important to check this information before you play a slot game. Select lines: These are the paylines which you have selected. Check the pay table to find out which lines you need to select in order to be eligible for certain jackpots (particularly the primary one). Slot club: If you play slot machines a lot, it is well worth your time to join a slot club if the casino offers one. Through this type of VIP program, you can accumulate points which you can redeem for rewards as you play. Slot schedule: This is simply another name for a slot machine’s pay table. It tells you the winning combinations possible as well as their applicable payouts. Slot testing: If you want to try and determine the payout ratio for a slot game on your own (not just taking the stated percentage for granted), you might play through a roll of coins in order to make an estimation. If you engage in this type of playing, you are testing the slot. Slot tournament: This is an exciting opportunity where you can compete against other slot players. There may be a small stake you need to put down to enter, or there may be zero entry fee. A clock is started, and you play during the allotted time period. A number of prizes are usually available. They may be money and/or other merchandise. The top player at the end of the tournament wins the top prize, and the others are distributed among the runners-up. Because of the small (or nonexistent) risk involved and the relatively high possibility of winning something, this is one of the best values in the casino. Many slot tournaments are open to all, but many others are invitation-only. Slot type: The type of slot machine you are playing could be a basic slot, a progressive slot, or so forth. Slot variance: The variance of a slot machine may be low, medium or high. Games with a low variance pay out small, frequent wins. Those with a high variance pay out large, infrequent wins. Learn more about slot variance. Sound of rain: This idiom refers to a win on a slot machine. It is derived from the sound of coins dropping in a brick-and-mortar casino. Spin: When you take a spin at a slot machine, you pull the lever or push the button labeled “Spin” to make the reels turn. Symbol: Each reel on a slot machine contains a series of symbols. Depending on the theme of the slot game, these symbols can take on any form. On traditional fruit machines, they usually were different types of fruits (cherries, grapes, etc.). If you get a certain combination of specified symbols on a payline, you win a payout according to the pay table. 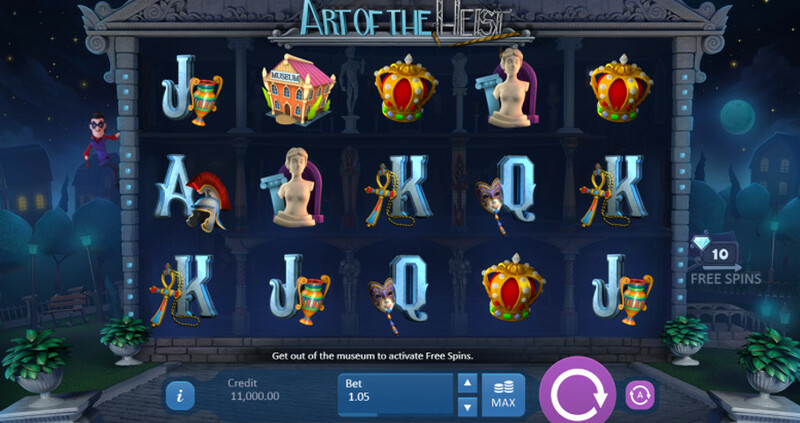 Here’s a screenshot of the slot, “Art of the Heist”. This one is available at Cloudbet, quickly becoming a favorite among bitcoin users. Taste: Sometimes this term is used to reference the small, regular payouts which slot machines tend to make. These payouts are nominal and usually won’t add up in your favor (after all, the house always wins). 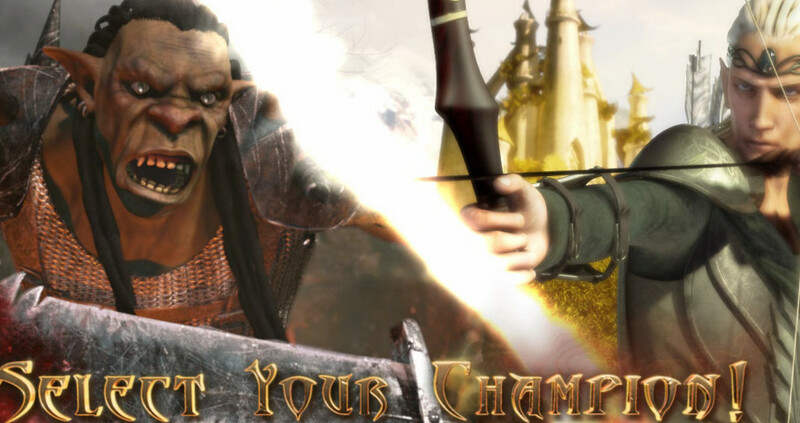 But they make you feel like you have a real shot at getting something substantial and compel you to keep playing. After all, you figure they must only be a “taste” of what you could win. Three liner: This is just a different name which sometimes is used to refer to a three reel slot machine. Ticket In/Ticket Out: Abbreviated as TITO, this is a term for a system which some land-based slot machines use to print out winning tickets instead of cash. That way, the player can just grab the ticket and head to the next slot machine, inserting it there to play. This is unnecessary online, since you never have to deal with handling physical cash. Your funds are always available to you at every game you play at the online casino. Tight slot: This is a word for a high variance slot machine, i.e. one which pays out infrequently. Contrast it with a “loose” slot with a lower frequency. Tilt: This can refer to a couple of different things (see below). With a land-based slot, it used to be possible to attempt to manipulate the results by physically tilting the machine. This would activate a circuit breaker called a “tilt switch,” shutting down the slot. Today, the word “tilt” may refer to any technical problem affecting a slot. Tilt (going on): The phrase “tilt” can also refer to a fault in a gambler. When a player loses control emotionally, but thinks that what he is doing is putting him more in control, he is “on tilt.” Players who are tilting often take reckless gambles, and may blow through their bankrolls without even realizing what they are doing until it is too late. It is possible to tilt with slot machines, poker, roulette, and any number of other casino games. One may also “tilt” while doing other activities. Often a player who is desperately attempting to “win it all back” is on tilt. Total bet: This is how many credits or coins you are currently playing. Two liner: This is another way of referencing a two reel slot machine. 243 pay lines slot: While many slot games only offer a small to moderate number of pay lines, some offer quite a few. Over the past few years, 243 pay lines slots have grown in popularity. Just as the name suggests, these types of slot machines offer 243 pay lines. Even the slots like this that are supposed to look like reels are still considered ‘video slots’. Video slot: When you see this term, it refers to slot machines in land-based casinos which have a video interface showing a depiction of reels rather than a set of mechanical reels. These machines have exploded in popularity because they can offer a more elaborate slot machine experience, complete with bonus rounds and cool effects. Of course, when you play slot games online, they take the same format. They simply display on your computer instead of a slot cabinet. Virtual reel: This is a form of technology which makes it possible to decrease the overall odds of winning a sizable jackpot when playing a slot game powered by a random number generator. As a reminder, all slot games today use random number generators to determine wins and losses. Without virtual reel technology, slot developers would need to alter game design in select situations, changing the size or number of reels in order to produce the intended result. Otherwise, jackpots would be too easy to win. Wager management: Also simply called “bankroll management,” or “money management,” this is the system which you come up with to determine stake sizes. When you manage your wagers wisely, you can enjoy playing for longer before you run out of money. Aside from wager management and being selective with the slots you pick to play, there is nothing you can do strategically to influence outcomes (except with skill based slots). Wide area progressive: Abbreviated WAP, this term refers to when progressive slot machines are linked together across a wide geographic region. Many slot games on the internet can be considered as falling into this category. Players around the world are causing the progressive jackpots to grow. This has led to some of the largest jackpots ever, which is one of the reasons why gambling online is so exciting. Wild symbol: Like a scatter symbol, this is a special symbol which some slot games feature. Like a wild card, a wild symbol can be substituted for other symbols, which can fill in those you need for a winning combination. Some games feature expanding wilds, which fill up entire reels when they are activated. It is important to remember when playing slot games that symbols like these can add to the fun of gameplay, but do not on their own increase your likelihood of getting a payout. That is determined by the parameters used to program the machine. Zig zag payline: Pay lines which are straight across or diagonal are self-explanatory. But nowadays, there are modern slot machines which also offer paylines in a zig zag shape. The above pretty much wraps it up. There is some terminology in addition to what I have shared above which I selected not to include in this list. I left these phrases out because they are applicable largely to gambling in land-based casinos, and do not have any bearing on playing slot machines online. If you are interested in this terminology, you can do additional research to learn more. Slot machines are ultimately very simple. It doesn’t take a lot of know-how to play them. They are games of chance, so the only “strategies” involved are in managing your money. That is an important aspect of play, however, both for staying in the game longer and for having more fun. With a deeper knowledge of slot machine terminology, you should feel more comfortable selecting games to try and deciding how much to wager. This should maximize your enjoyment. Not sure where to go to play slots online? Check out our slot reviews for some recommendations for where to begin! Keep on Reading Some More!